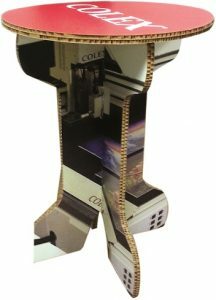 for boxes and POS/POP displays. completely different sizes can be created. reflected automatically in the design. The Colex Sharpcut is compatible with 3D Software with third party CAM software package including V-Carve, Enroute, Aspire, Cut3D, BobCAM, etc. Using any one of these software packages will enable you to make custom 3D signage, wood carvings, and cabinetry up to 2” thick. The Colex Sharpcut offers versatility with 3D CAM software that opens the doors to endless possibilities! 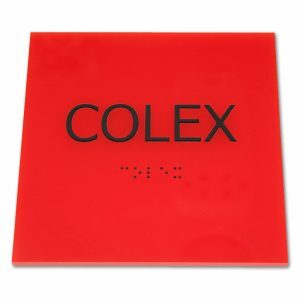 Colex Finishing Solutions and Accent Signage have teamed up to give you Braille Capabilities for the Sharpcut. 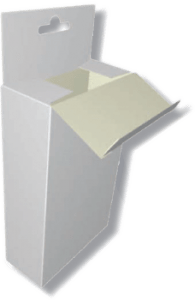 Using their patented Auto-Raster Universal tool that dispenses and inserts Raster®spheres automatically, the Sharpcut can give you an automated solution to making braille signage and more! 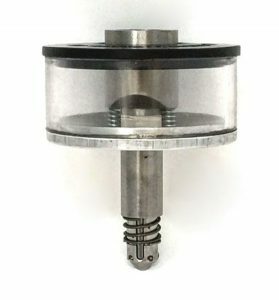 The tool is very easy to install on our machines, requires no special software to use, and installs spheres 5 times faster than the manual process. To learn more about making braille with the Sharpcut please click the button below.